Now, I don't mean to sound ungrateful, but as much as I appreciate Mr Loulabelle's laundry enthusiasm, he does have a knack of shrinking and felting my wooly friends. My cosy charity shop shetland survived two washes before giving in to the Mr L treatment. What to do? Stick on the cupboard-under-the-stairs pile, leave for a few months, then make a cushion cover on a random whim. Of course! Here's how. Step 1: Dissect your jumper! Enjoy this moment. Remove the sleeves and collar, then cut along side and shoulder seams. I've kept the sleeves for potential leg warmer tinkeridge (back on the under-stair-cupboard pile). Step 2: Square off the neck edge of the back and front peices to create two approximate square shapes. Step 3: Place right sides of the front and back peices together, lining up the top (neck end) edges. Sew together - I used my overlocker for this, but handsewing or machine sewing would be fine. Step 4: Wrap this rectangle around your cushion pad, positioning the seam where you prefer and making sure that the ribbed edges overlap to create a nice deep envelope effect. Step 5: Place pins at each side edge marking the top and bottom edge of the cushion pad (4 pins in total). Step 6: Unwrap your cushion pad, then with right sides together, fold up the bottom edge of the rectangle, using the pin markers as a guide for where to position the fold. Step 7: Using tapestry needle and matching yarn, hand sew along one side edge of the folded section. I used back stitch (instructions here). Next, sew along the second side edge, making sure that the central space inbetween your side seams is a little smaller than the width of your cushion pad (this will create a nice, snug fitting cushion cover). Step 8: Now fold down the top edge of your soon-to-be-fabulous cushion cover - again, using your remaining pins as guide - and stitch the side seams as in step 7. Step 9: Turn your cushion cover right side out. 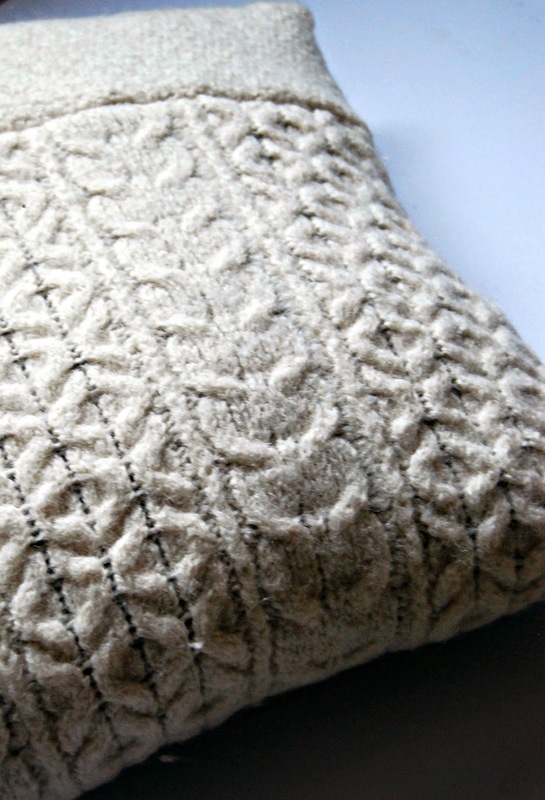 Insert your cushion pad and give your snuggly cushion a big hug. 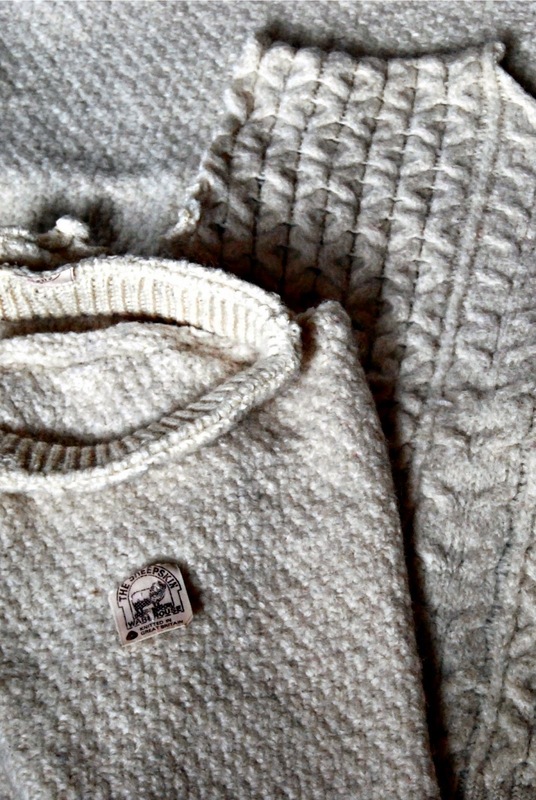 Hurrah, your favourite shrunked jumper lives on. Step 10: If you fancy adding a little extra embellishment try stitching pom pom tape along the seam line. Or, make a giant tassle and attach to one top edge.